Dublin, Ireland, Mar 9, 2018 / 05:24 pm (CNA/EWTN News).- In a decision that some critics are comparing to Roe v. Wade, the Irish Supreme Court has unanimously ruled that unborn children have no other rights except those guaranteed by the Eighth Amendment – which is targeted for repeal this year by pro-abortion rights groups. “It has demonstrated with absolute clarity that the Eighth Amendment is now the only defense that the unborn child has against the arbitrary decisions of politicians to extent the grounds upon which an abortion may be obtained,” Independent Member of Parliament Mattie McGrath said, according to the Herald Scotland. The Eighth Amendment to the Republic of Ireland’s constitution, passed by voters in 1983, recognizes the right to life of mother and unborn child equally. The High Court, which is below the Supreme Court in authority, sided with a Nigerian man’s arguments in an immigration case. Among his claims the court favored: he should not be deported because his unborn child had multiple rights, including the right to the company of his or her father. The Supreme Court dismissed the man’s appeal, but disagreed with the ruling that the unborn child had other rights. It said the decision should have instead considered rights that were conferred on the child once he or she was born, the Irish Times reports. It said the “most plausible” interpretation of Irish law before the 1983 pro-life amendment was that there was uncertainty about the constitutional place of the unborn that the Eighth Amendment was intended to remove. The case was holding up efforts to repeal the Eighth Amendment. Had the Supreme Court upheld the lower court’s ruling, it could have delayed the repeal vote. Taoiseach Leo Varadkar, the Prime Minister of the Republic of Ireland, said the language change is “about trusting women to decide, in the early weeks of their pregnancy, what’s right for them and their families,” saying it is also about trusting doctors to decide when a pregnancy is a risk to a woman’s life or health. “Above all it’s about trusting Irish people to consider this matter in depth, with compassion and empathy, as I know they will,” he said, the U.K. site Metro News reports. Varadkar has promised to propose legislation to allow unrestricted abortion in the first twelve weeks of pregnancy if the Eighth Amendment is repealed, the Irish newspaper The Independent reports. 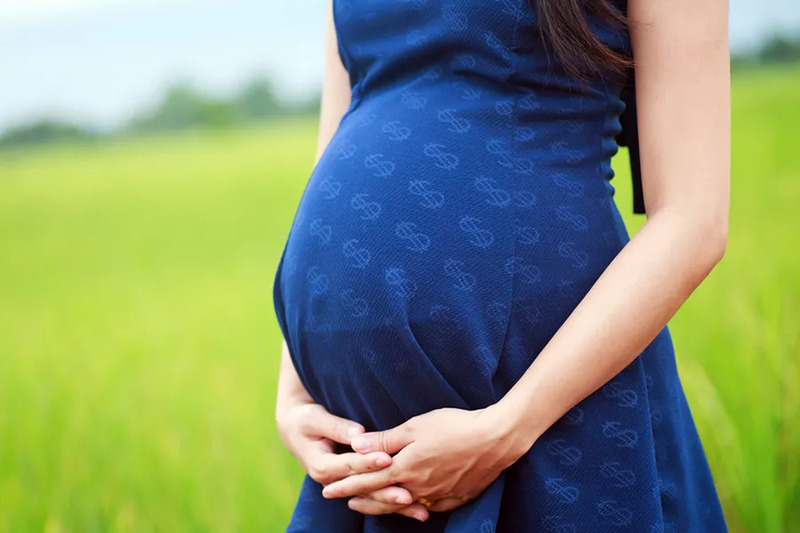 Iona Institute spokeswoman Maria Steen criticized the government’s decision to appeal the High Court’s opinion that the unborn child has multiple rights. Steen said the decision highlights the need to protect the Eighth Amendment. “Will we decide a group of fellow human beings, those in the womb, are deserving of less protection than we are, or will we see them, correctly, as one of us, and continue to protect them?” she asked. Rome, Italy, Mar 16, 2017 / 02:50 am (CNA/EWTN News).- This week Cardinal George Pell sat down with some 20 students from Harvard visiting Rome, with the goal of challenging them to both set firm ideals and to work hard to achieve them – something the Church can help with by providing a basic framework for moral leadership. A student-led initiative, the event was held at the Pontifical Lateran University and hosted students from various backgrounds at Harvard, including the business, law, divinity, medical, and dental schools. In addition to Cardinal Pell, other key figures participants have met with during the summit include Vatican Secretary of State Cardinal Pietro Parolin; Vatican Secretary for Relations with the States, Archbishop Paul Gallagher; Cardinal Peter Turkson, president of the Pontifical Council for Integral Human Development; and Cardinal Giuseppe Versaldi, prefect of the Congregation for Catholic Education. An advantage of the Catholic Church in this regard, he said, is that it can help provide “a general scheme” into which specific principles, causes, and points of view can fit. However, he stressed that despite the Church’s role in providing this scheme for various fields, particularly economics and business, it is above all a religious institution, and as such doesn’t embrace any one system in particular. Since not all of the students participating in the summit are Catholic, the cardinal voiced his hope that they would walk away with at least a better idea of the Church’s social doctrine. Okendo Lewis, a student at the John F. Kennedy School of Government who spent part of his childhood in Milan, was the one who initially thought of the summit and made it happen with the help of Mary Ann Glendon, who was a US Ambassador to the Holy See during the George W. Bush administration and who now teaches at Harvard Law School. 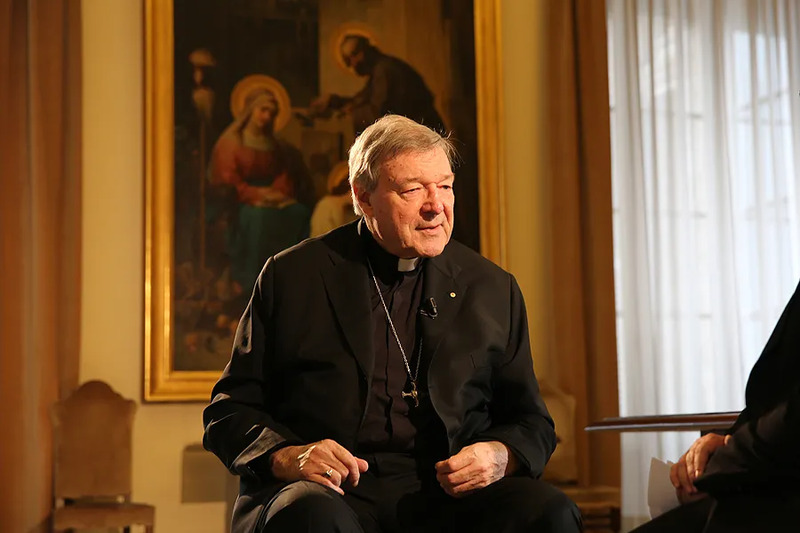 “I definitely wanted this next generation of leaders, whether they’re in business or in medicine or in law, to learn from the wisdom of the Pope, but also the city and the Church, which has had two thousand years of experience,” he said. Lewis said he initially had doubts about whether or not people would come, since it was already late when they started to advertise the trip. However, they received over 180 applications, and had to narrow it down to 20 spots. “I think that speaks to the power of the Catholic Church and the interest there is in Pope Francis. So people were actually very enthusiastic to be here,” he said. Kiernan Schmidt, a student at Harvard Business School, told CNA he wanted to participate not only because of his Irish and Catholic background, but also because the idea of “how morality plays into the decisions we make” as leaders in various fields. “The idea of examining how morality guides our leadership styles was really the main impetus,” he said, adding that Pope Francis’ challenge for global leaders “to reexamine what we’re doing for each other and how we think of ourselves as leaders” was also a key factor. Rome, Italy, Aug 12, 2017 / 04:02 pm (CNA/EWTN News).- One hundred years ago, at the height of a cultural about-face in Russia, Mary appeared to three shepherd children in Portugal, predicting and encouraging prayer for Russia’s conversion. 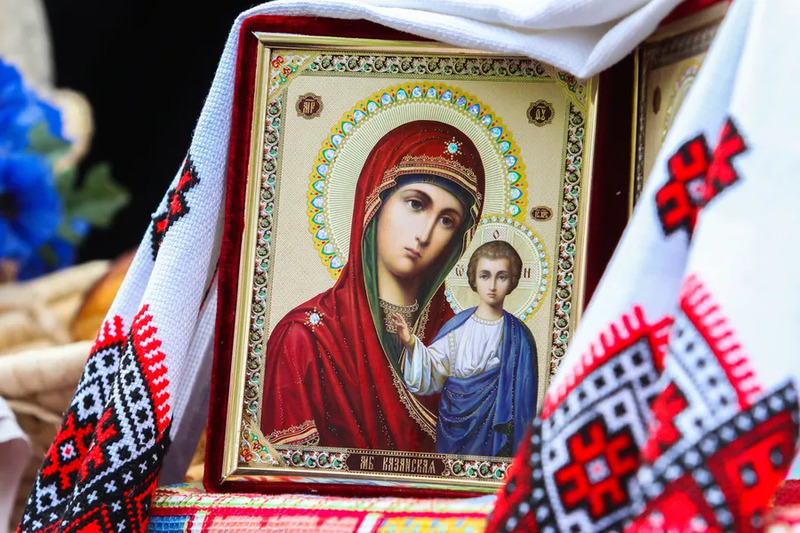 Looking back into Russia’s history, it’s clear that that the Virgin Mary has had a very strong cultural influence in the country – from its religion to its art and architecture. Many of the world’s most famous icons today are images of Mary found to be miraculous, including the Vladimir, Smolensk, Kazan and Cz?stochowa images. Aside from Poland’s Cz?stochowa icon, each of these are from or are currently found in Russia. The child’s mother refused to let her go out, arguing that it was too dangerous. However, after having the dream for two more consecutive nights in a row, Our Lady said she would become upset if the girl didn’t go. So the next morning, the child’s mother accompanied her to the church, where they saw a golden light amid the ashes. When they brushed the soot away, they saw that they were holding an image of Mary and the Child Jesus, and that it was glowing. The icon was eventually placed in Moscow’s Cathedral of Our Lady of Kazan, which sat directly across the street from the Kremlin. After his death, the icon was purchased from the estate by the Blue Army of Fatima – an international organization dedicated to spreading Our Lady of Fatima’s message – in the 1960s, and in the 1970s a chapel was built to house the icon at the Fatima shrine in Portugal. So when the Iron Curtain fell in 1991, within a few days the Polish Pope called the Vatican’s ambassador to Portugal and asked that the Kazan icon be brought to him in Rome, so that he could carry it back to Russia. At one point he asked St. John Paul’s secretary if the story about Our Lady of Kazan was true, and in response was told that it was in fact true, and he was invited to come see the image for himself in his apartment. Moynihan reflected on the icon’s importance for the Russian people.